We have carved a niche as a distinguished Supplier of Fly Ash Brick Making Machine. 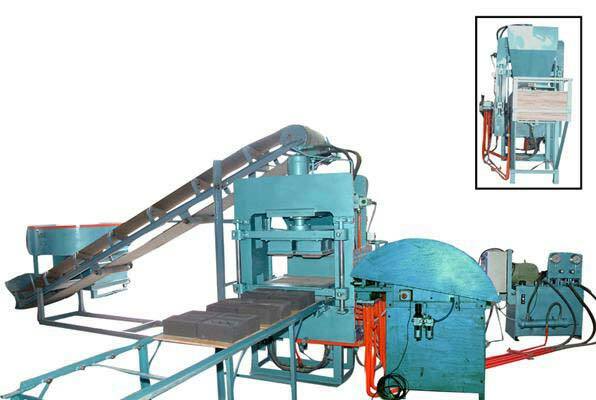 We supply Fly Ash Brick Making Machine of CHAMUNDA BRAND that is renowned for fabricating the best quality machines. Our Fly Ash Brick Making Machine is widely appreciated for its unsurpassable performance and quality. We also provide consultancy services for the usage and maintenance of Fly Ash Brick Making Machine. 2hp Motor high capacity rubber belt 18feet. 6pc. Why Prefer Us For Fully Automatic Brick Plant?